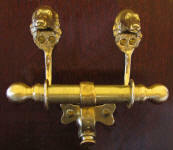 Brackets extend downward from a pair of heads, which support the 5/8" diameter rod about 1 1/2" from the wall. 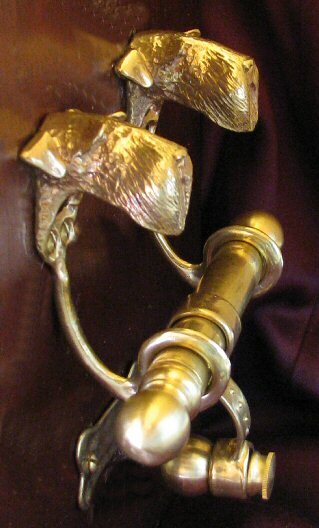 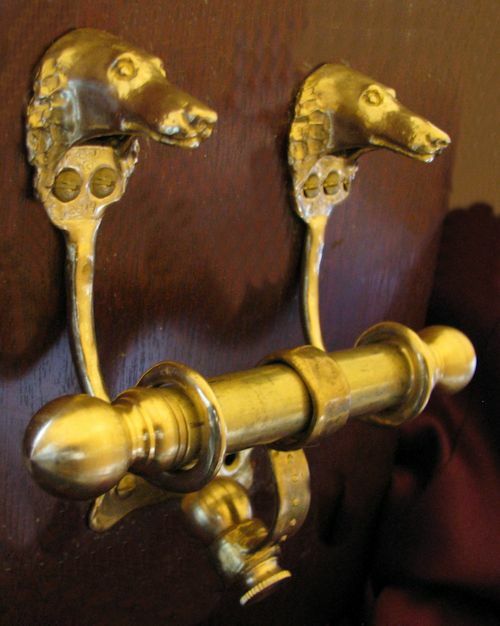 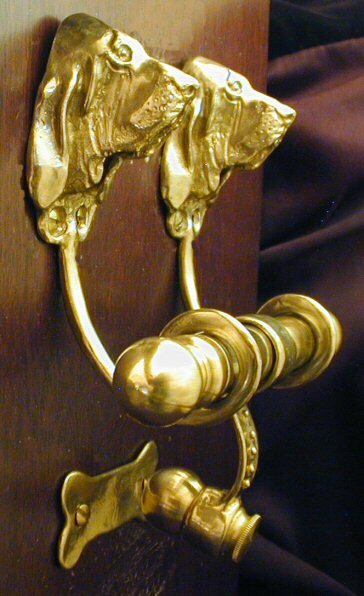 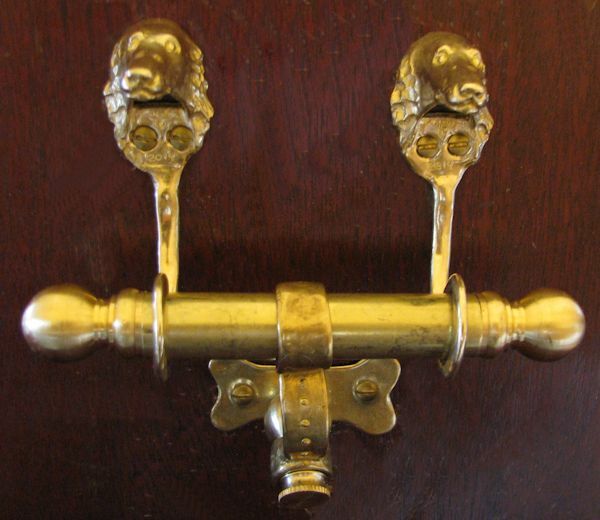 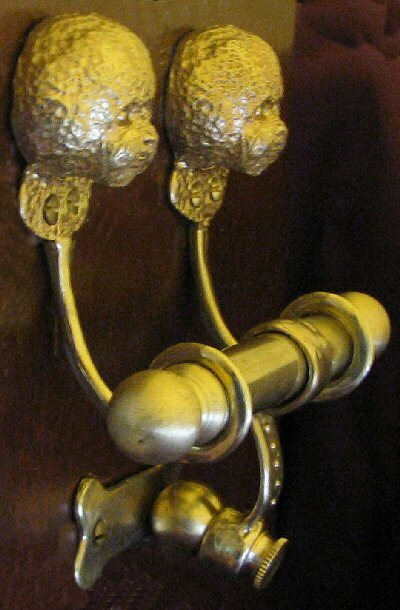 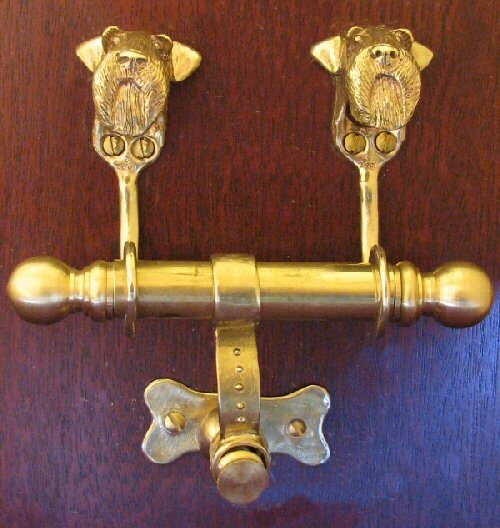 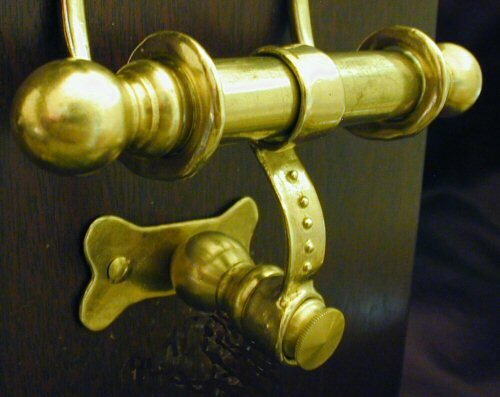 The round finials make an elegant ending to the rod, and prevents it from pulling out, unless you unscrew the finials, which extend about 1 3/8" beyond each end of the rod. 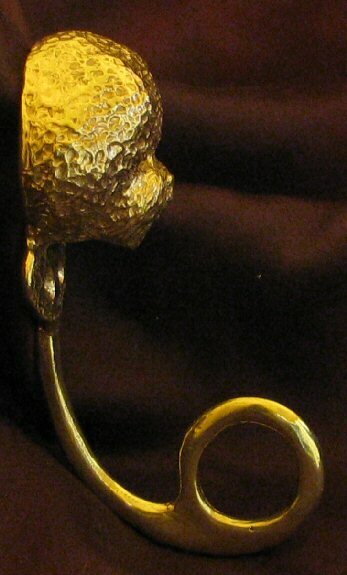 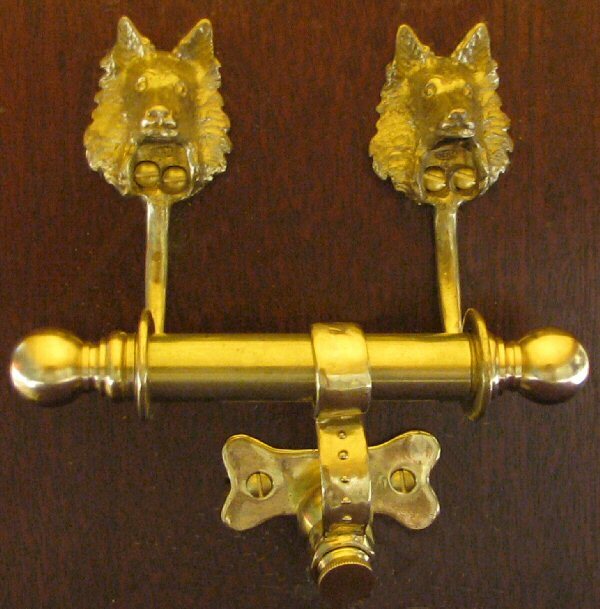 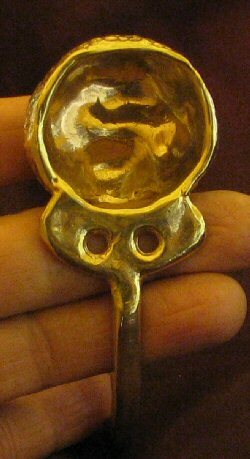 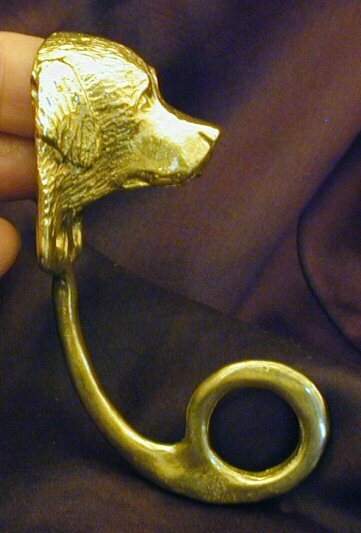 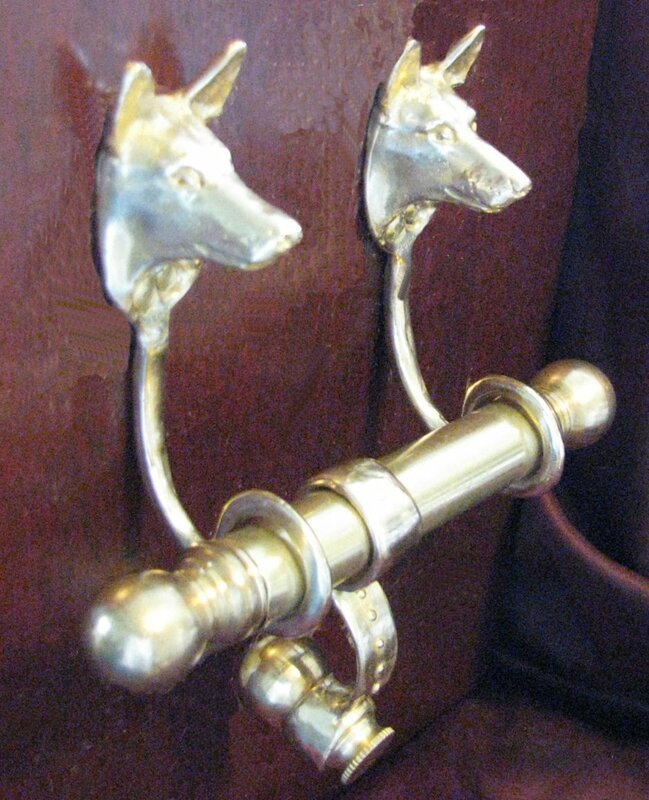 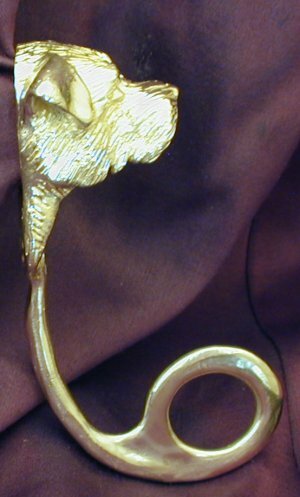 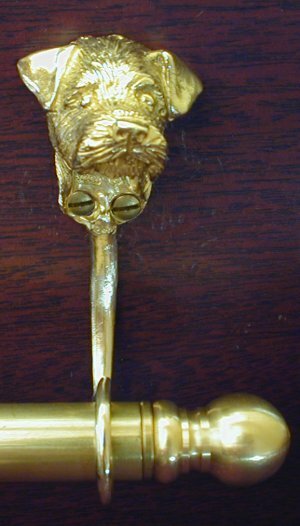 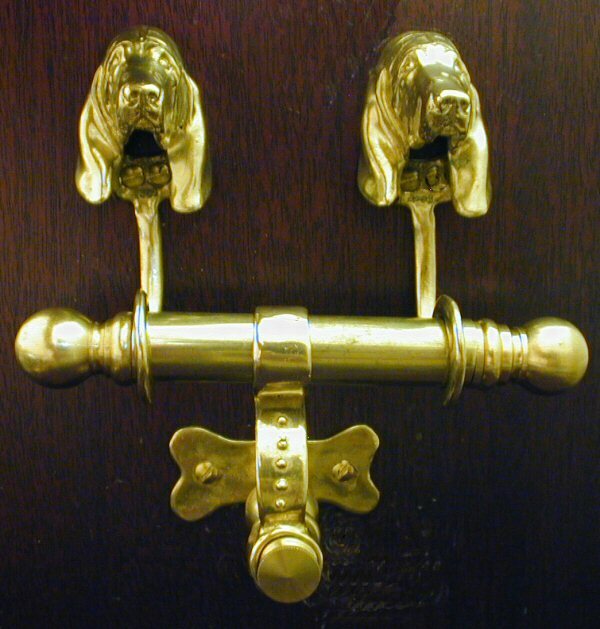 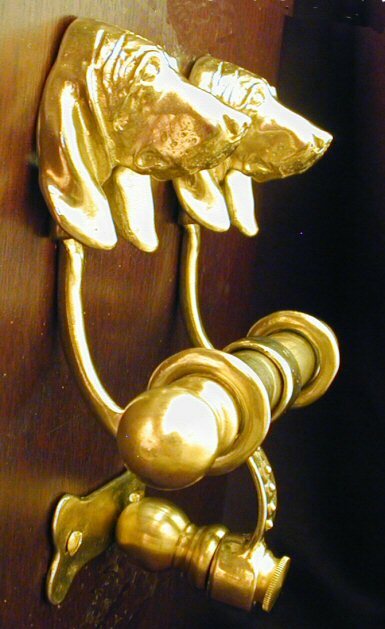 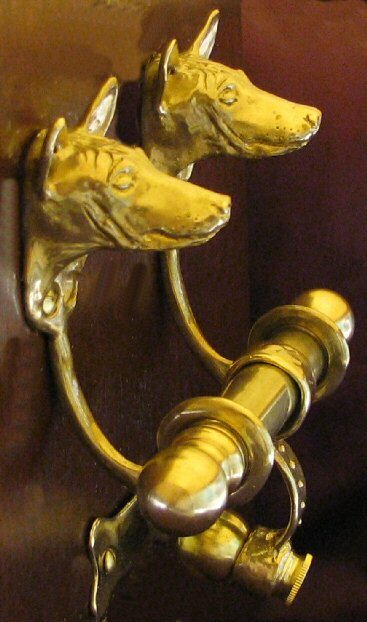 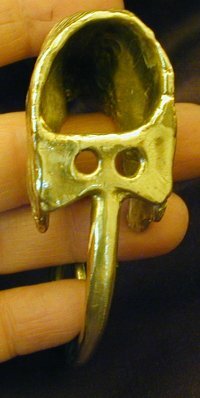 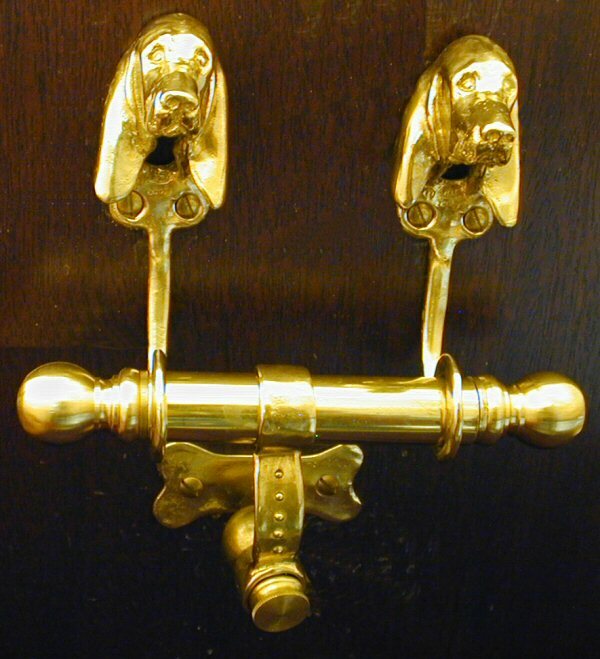 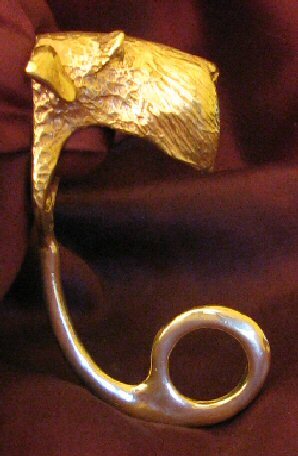 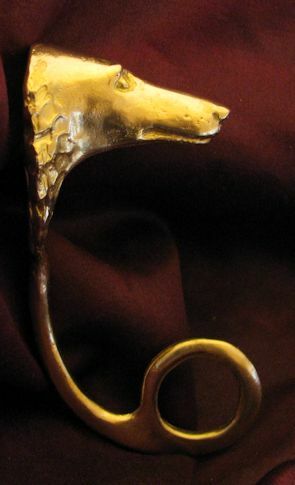 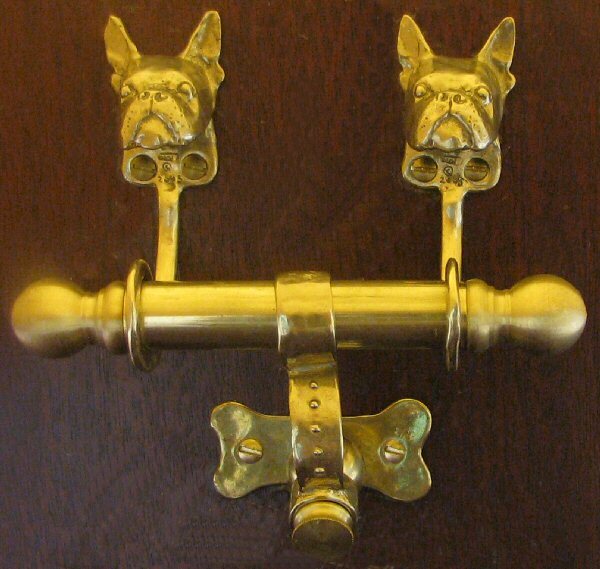 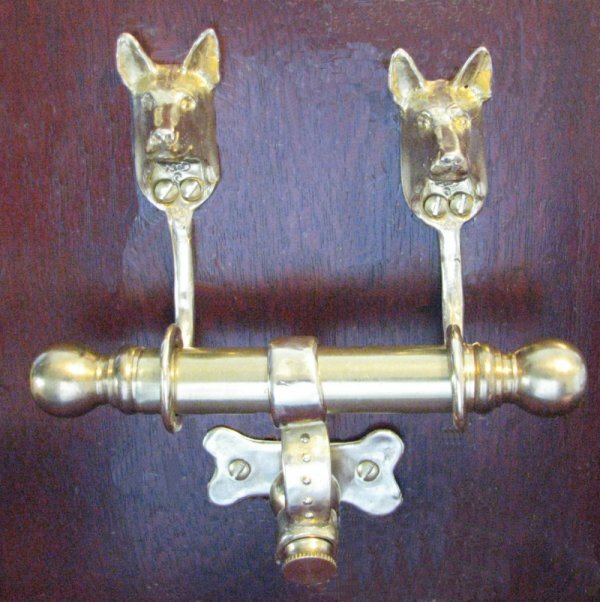 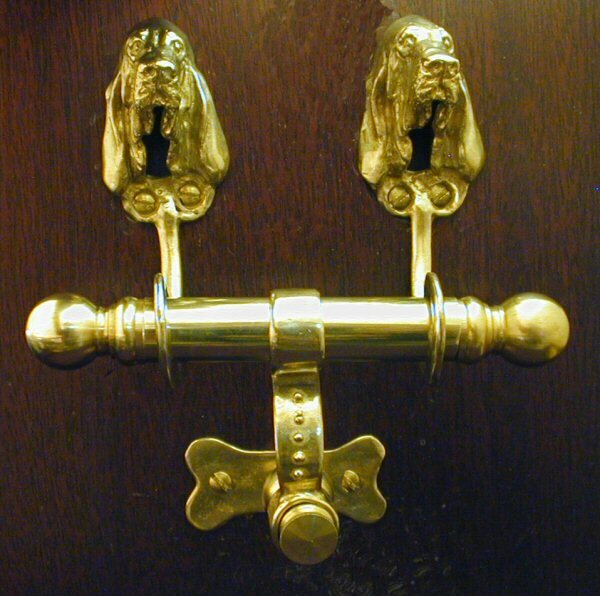 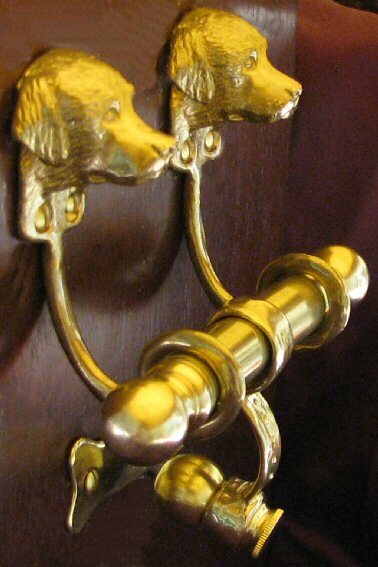 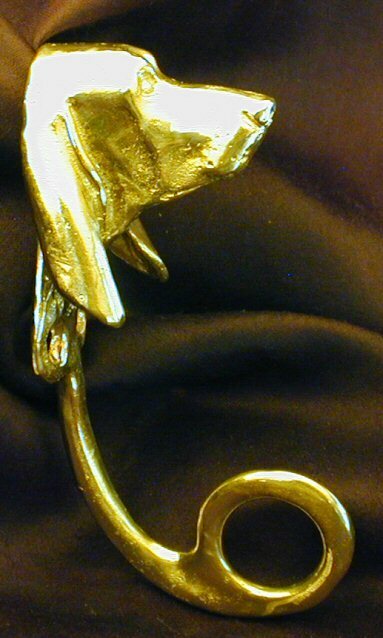 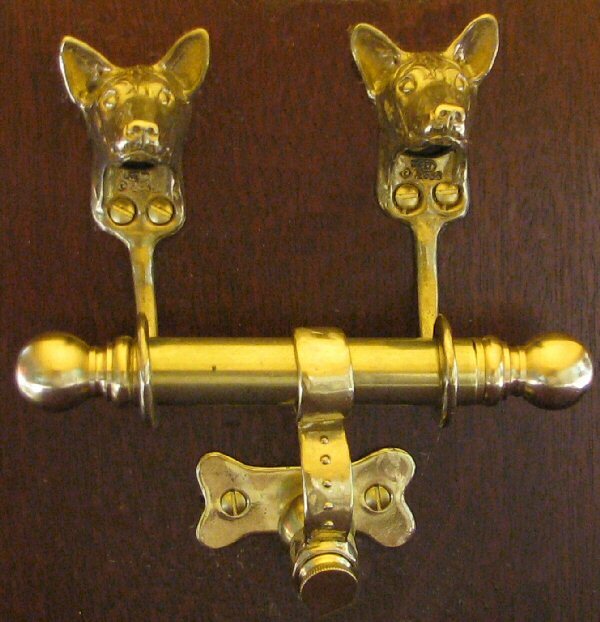 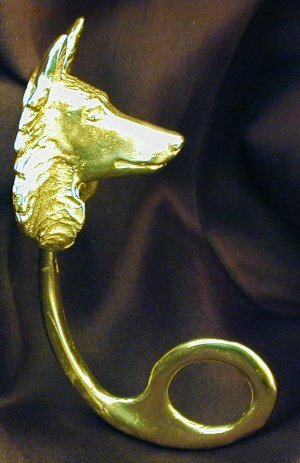 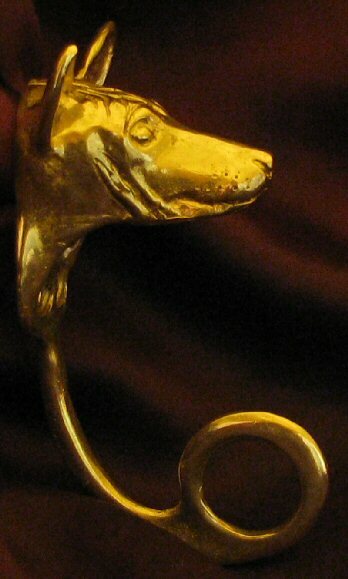 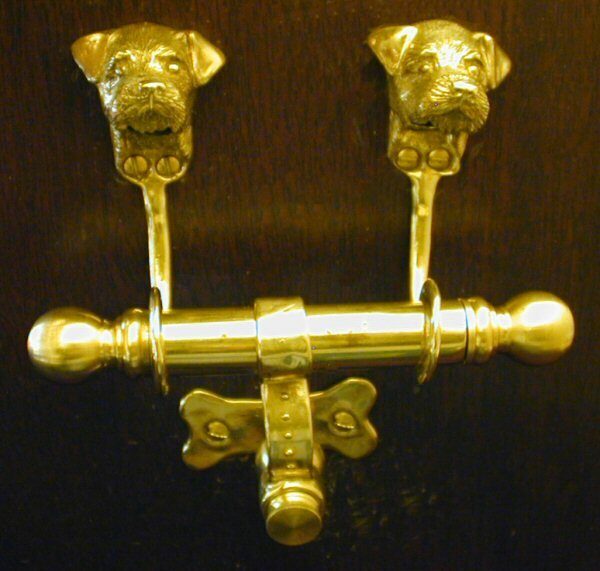 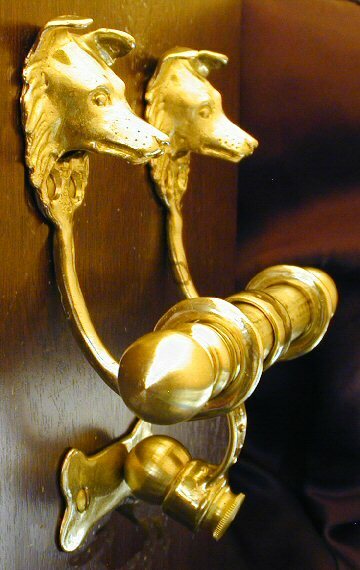 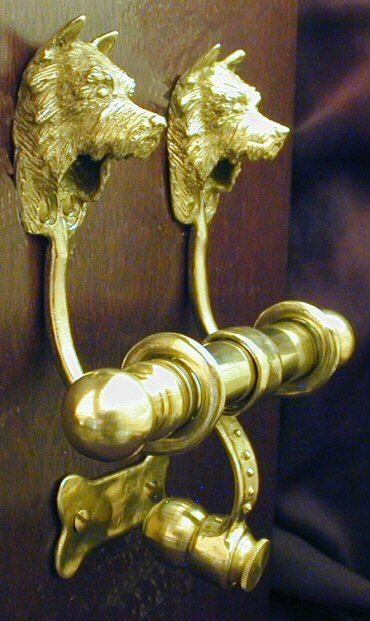 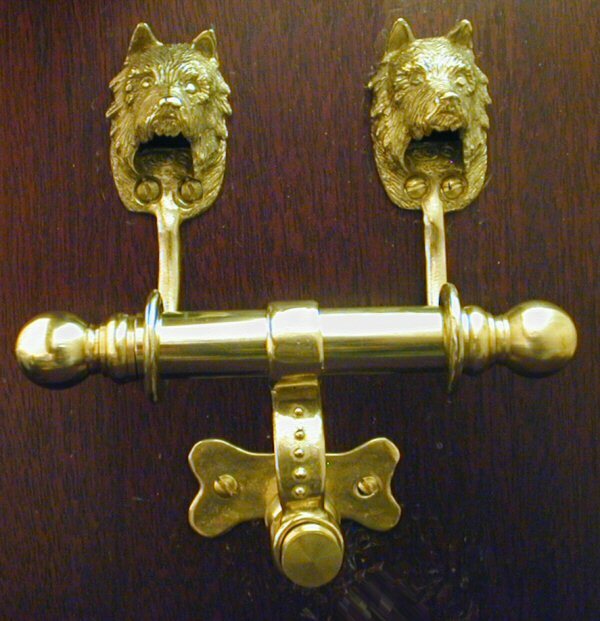 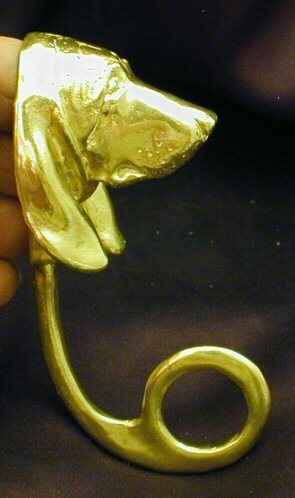 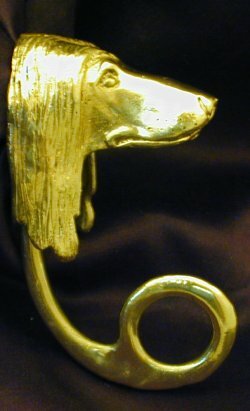 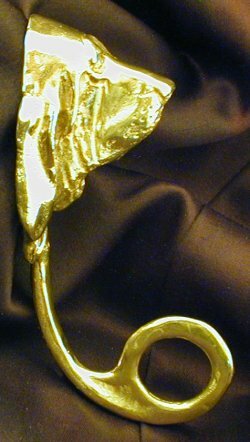 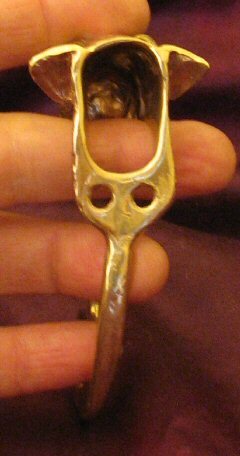 The Swiveling Knocker hangs from the middle of the rod, with a sturdy striker at the bottom, that contacts the strike plate beneath: "bone" shaped, in the case of dogs, and oval for other animals. 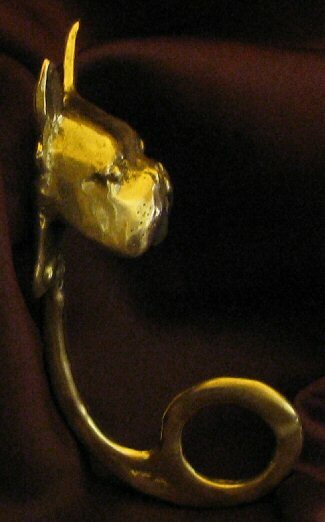 The height of the full piece varies depending on the Head that is used. 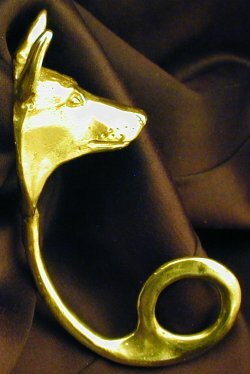 They are about 5 1/2" - 6 1/2" high by 5 1/2" wide (14 cm - 16.5 cm x 14 cm). 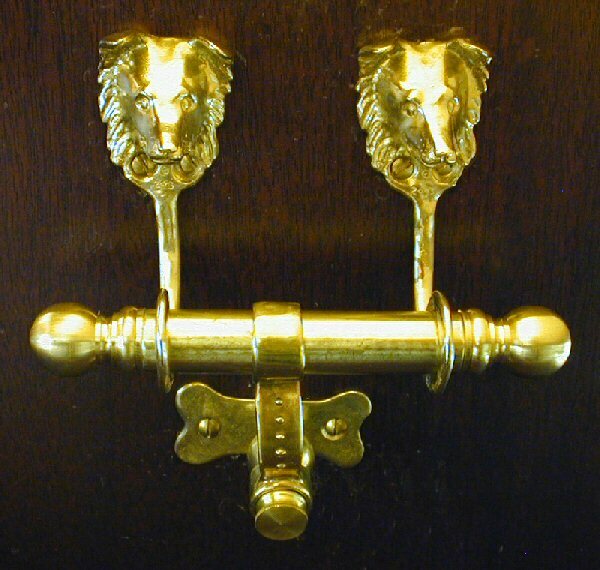 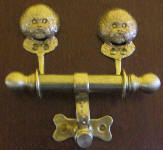 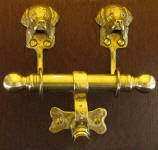 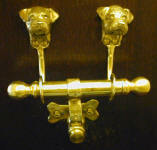 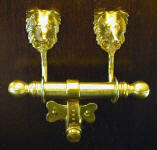 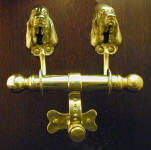 The pieces are quite substantial and suitable for exterior doors. Oval head screws included.